Lagoon 400 is a sailing catamaran available for crewed, skippered of bareboat charter in Croatia. 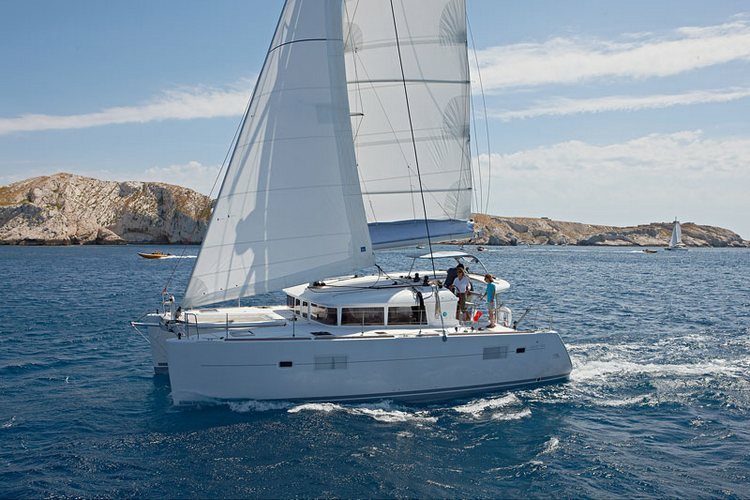 With this sailboat everyone, at any sailing level can perfectly enjoy a sailing holiday. 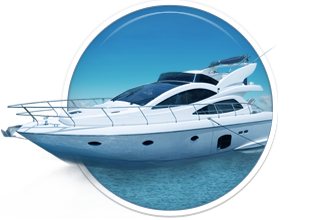 This is because the entire boat was designed to be easy maneuverable, so that 2 sailors could easily manage the boat’s handling. 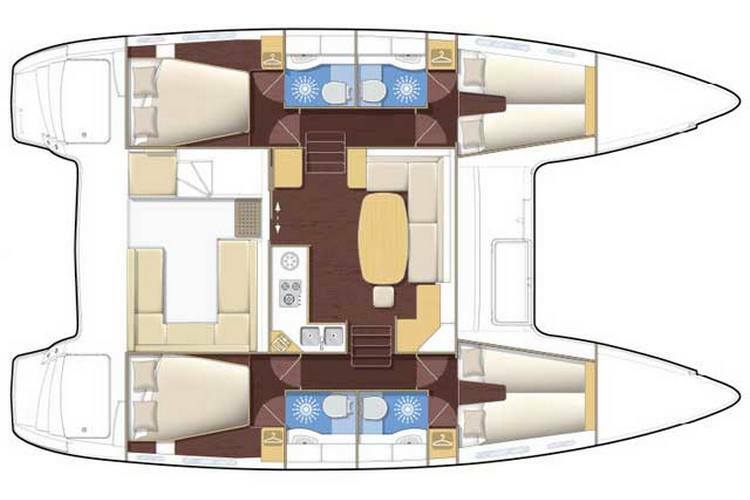 There’s a large cockpit in the back, with a large area for socializing, extending into a saloon. 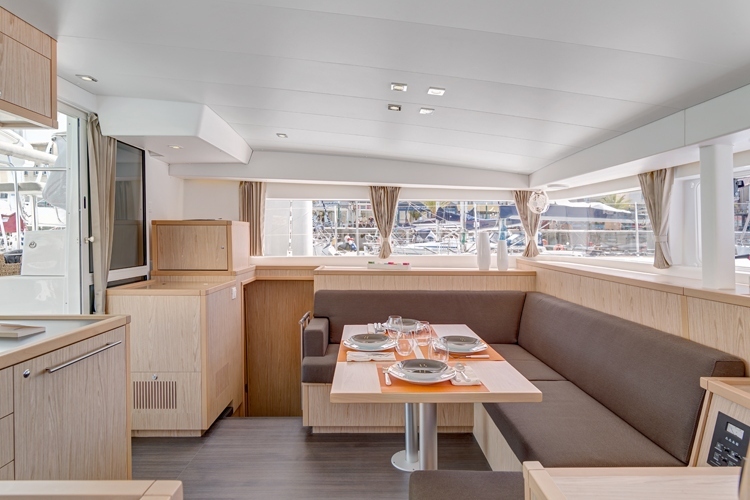 The wheel is elevated, acting almost as a mini flybridge, overlooking the boat. 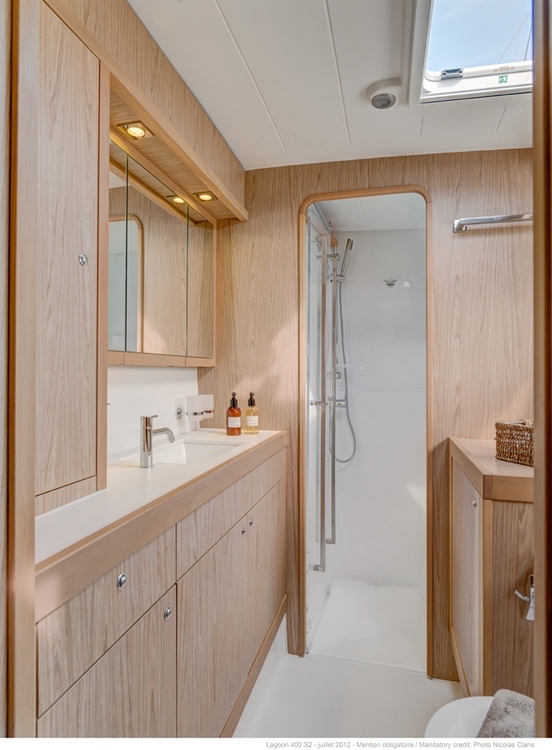 400 has a lot of free space on the entire length of the boat, so you don’t have to worry about squeezing to get around the saloon. 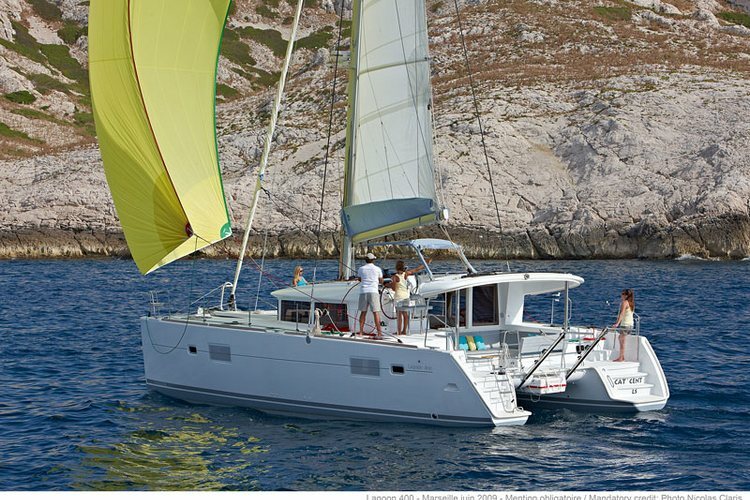 At 12 meters this is a respectable sized catamaran, with top performance in the catamaran world. 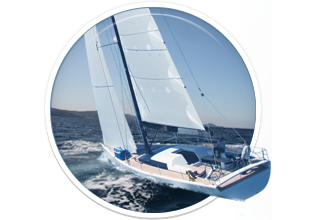 Large sail area grants a fast sailing, and the perfect balance achieved all around the boat, whether it’s the size and weight of the boat, size of the hulls, or the perfect positioning of every component on the sailboat, so it’s on hand at all times! 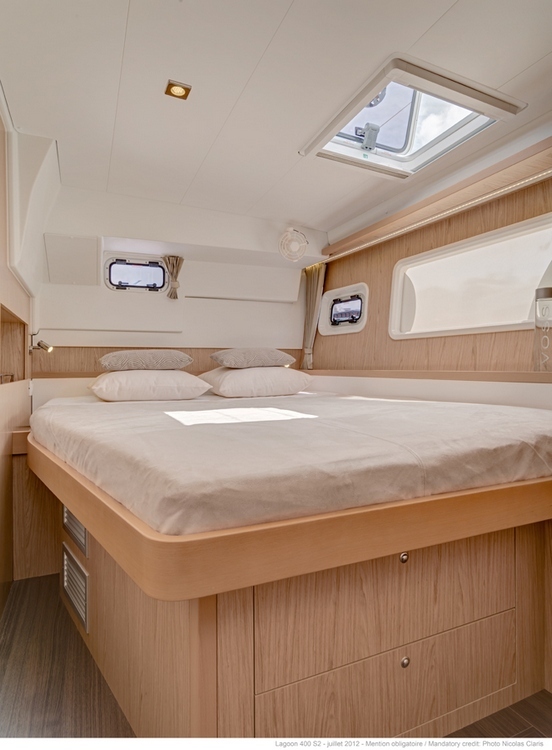 The interior is beautifully fitted into the sailboat, and it goes without mentioning that it’s done by the most modern standards using reconstituted wood, and natural materials.There’s a lot of natural light on the interior, and enough space to accommodate 8 people and the crew, comfortably. 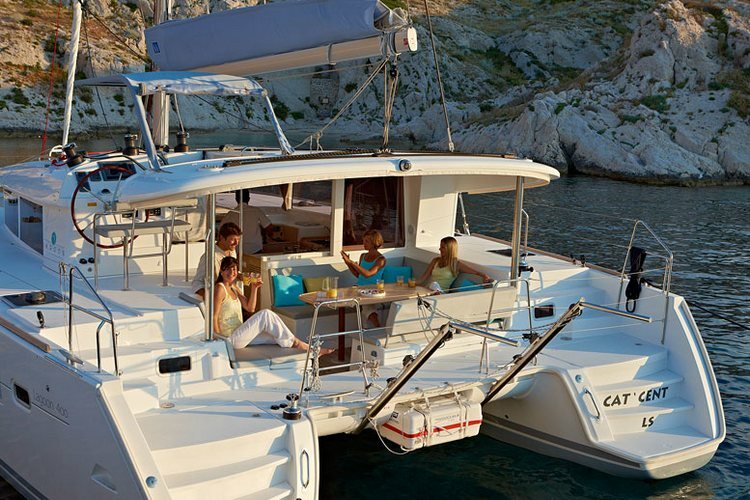 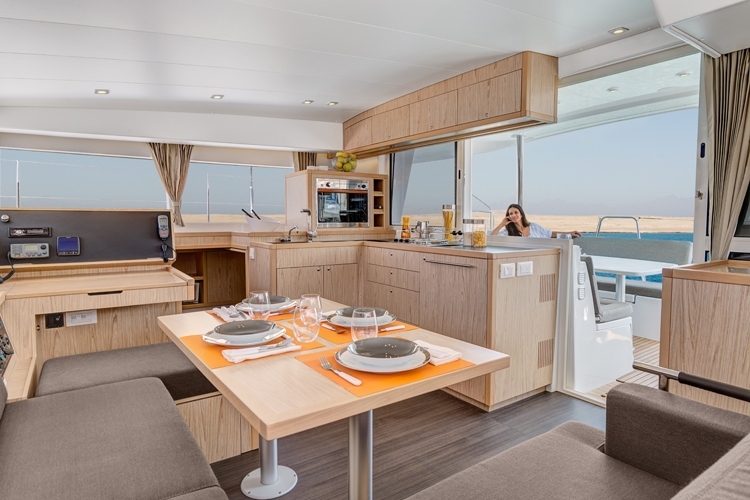 Here you can find basic information about Lagoon 400. 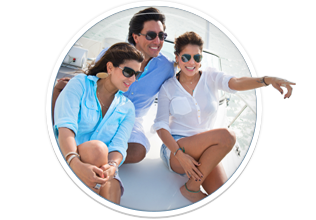 Other specifications, can vary from boat to boat, therefore we recommend to search for particular Lagoon 400 from our database, in the destinations of your preference.